Louis Manetti handles complex litigation matters as part of the Consumer Financial Services practice. He has extensive experience in appellate advocacy and the courtroom, having orally argued before the Illinois Supreme Court and the First, Third, Fourth and Fifth Districts of the Illinois Appellate Court. Louis consistently practices in the Northern District of Illinois litigating issues relating to CFPB regulations and the FDCPA. He also manages contested cases at the trial court level involving mechanics lien issues, the Truth in Lending Act, the Illinois Consumer Fraud Act, the Home Affordable Modification Program, the Illinois Collection Agency Act, removal to federal court and evidentiary hearings. 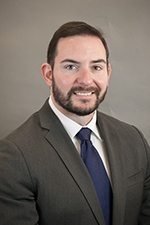 Prior to joining Hinshaw & Culbertson LLP, Louis spent nearly a decade practicing at a consumer finance litigation firm in Burr Ridge, Illinois. During his tenure, he served as the managing attorney for the appellate practice. Louis began his legal career working as a clerk for a general practice plaintiff's firm and also for the Honorable Julia M. Nowicki (ret. ), Circuit Court of Cook County, in Chancery Court. Prevailed on appeal regarding bank business records. Successfully argued that the current loan servicer could lay foundation for the prior servicers' records. Drafted the brief and orally argued on appeal in a foreclosure case where the defendant alleged lack of standing. The court held that the plaintiff made a prima facie showing of standing, even though the note attached to the complaint was unendorsed. Drafted the brief on appeal that successfully reversed a trial court order holding that a foreclosure plaintiff was not entitled to a deficiency without further documentation at sale confirmation. The court held that a trial court can only require those documents listed in the Foreclosure Law to enter a deficiency judgment, and the trial court erred when it required additional documents that the statute did not specify. Successfully dismissed lawsuit under the Fair Debt Collection Practices Act when the plaintiff failed to articulate a viable claim. Defeated a lawsuit in Wisconsin district court by establishing that the claim and the defendant had no contact with Wisconsin. John P. Ryan, Louis J. Manetti Jr.
Louis lives in the western suburbs of Chicago with his wife, Margaret Manetti, and their two children.